So I thought I would try something different and experiment more with video! Let me know what you think in the comments! 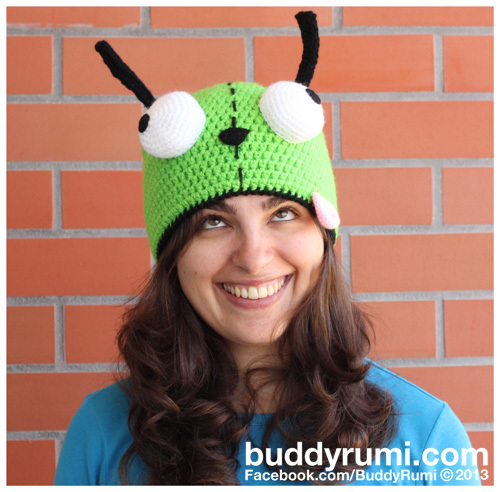 Today I want to show you what crochet and amigurumi projects I'm working on right now! Click the video above to watch! I'm still working on more crocheted plants for the Gardening with Crochet patterns. This time I wanted to make something with more colour so I'm working on a ball of flowers that will be later added to a vase. Similar to the basil bush I made for the Popular Saints celebrations but with flowers. Now that the cold and rain seem to finally have arrived, I started to get more requests for crochet hats. I'm also taking this opportunity to finish the patterns for all the models I've already created. 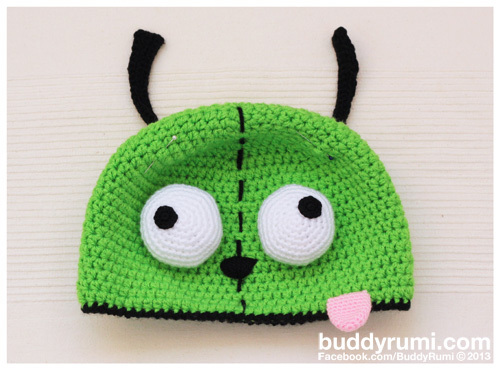 I'm also working on updated versions of the Kitty Kat House pattern, the Gir with Hood Down and Robot Gir patterns. I always like to learn new techniques to make my buddies even more special so I started to experiment with needle sculpt to give them more detail. Lets start with the projects I finished last week! 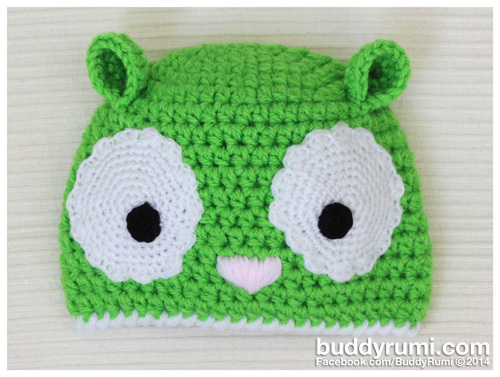 The kitty cat hat was requested by a friend and was inspired on the face of the Kitty Kat House. The blue monster is coming along great! I made his little horns and now I'm working on his tail. What treasures hang from you hook? These past weeks I've been really busy with requests and new projects! Let's take a peek inside my project bag and see what it holds! I've made some progress on the little monster I'm working on. I'm not sure about the tummy I had made for him, so I'll leave that part for the end. Welcome to the new home of BuddyRumi! Today is time to share what's new in my project bag! I had no reason to be scared they are the cutest little space creatures that I ever saw! These little cuties are the Linguine Bunnybuns...From outer space! created by Wayuki. They are easy, fun to make and free! Check them out! As always feel free to leave your comments or questions below! First, is a second take on the aviator hat. For this aviator hat I made the goggles in felt, and instead of making the straps that go to the back like the first one, I made straps attached to the ears of the hat that can be tied under the chin. I think this one also came out really cute! What's your favorite version? I'm also starting another Kitty Kat House, this one will be a little bit more colourful. And I'm also working on a Gir and a Gir with the Hood Down that was requested. What do you have hanging from your hooks? Today I'm showing you what I managed to finish these last weeks! I finished the bunny I was making for a friend, she already received so I can finally show it to you! 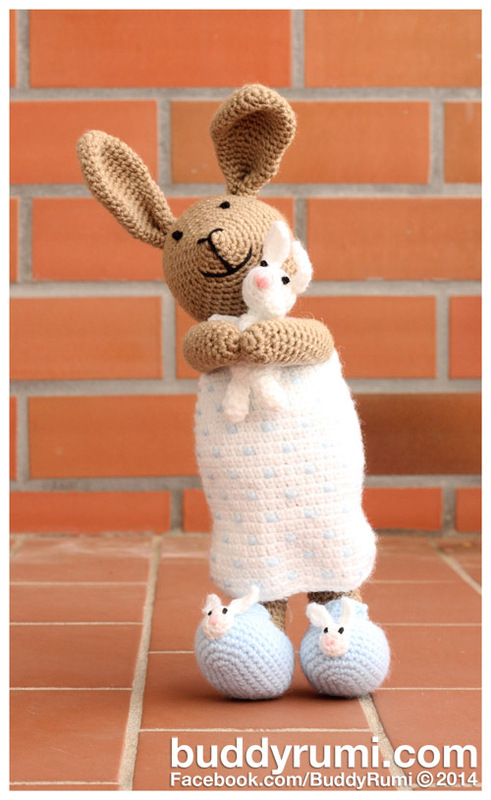 They were inspired by the little white bunny that the bunny I made for my friend is holding. And with some minor changes I also made a little mouse! This past week I was able to finish two projects and got a little work done on another two. The bunny is beginning to take shape. I'm not entirely happy with the shape of the body, I think I'll end up making it a little bit more rounded. 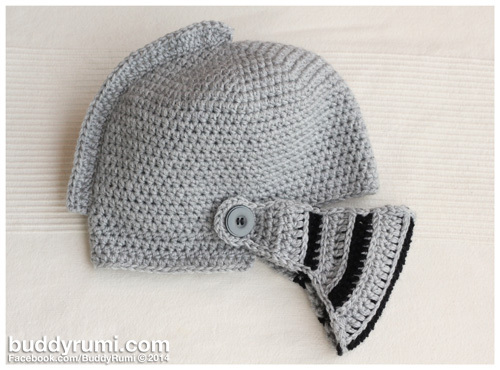 I'm working on a crochet helmet. I'm really happy with how it's coming along, but unfortunately I've ran out of yarn so this project has to wait a few more days to be completed. I've been working on some new projects! Let's check them out! 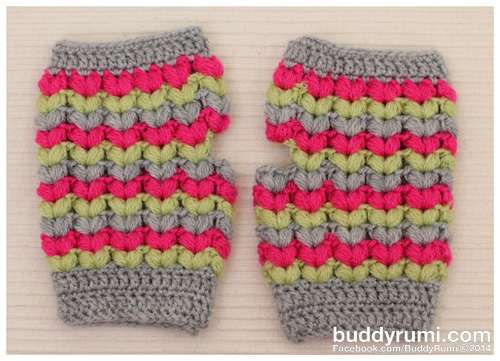 For some time now I've been wanting to make some fingerless mittens for me, but I never got around to it. This past weeks I developed a kind of obsession for crocheted hats! Check them out! These past weeks I've been working on some new, fun and seasonal amigurumi and crochet projects!